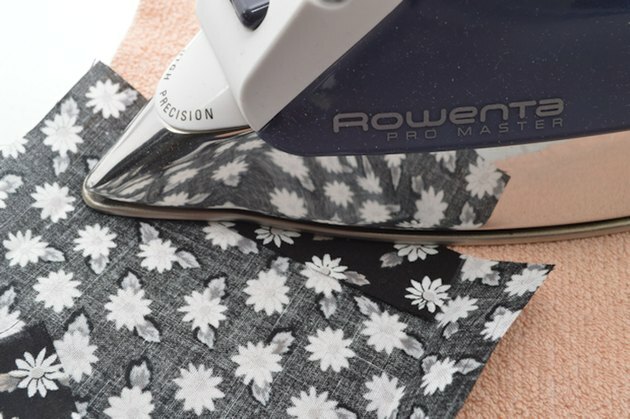 Contrary to what most may think, you don't need to be an experienced seamstress to create one-of-a-kind clothing projects. 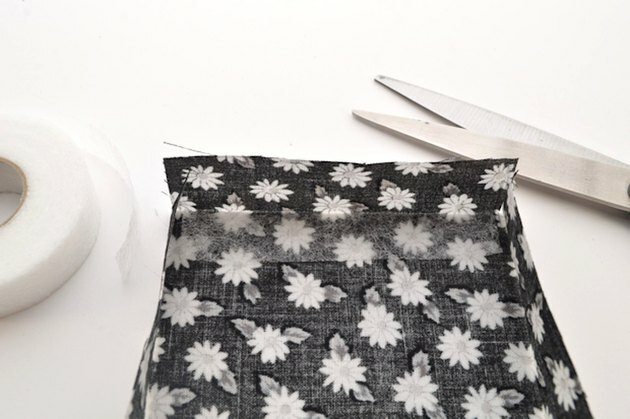 This no sew DIY is ideal for even the most novice crafters, and is a great way to get your foot in the door. 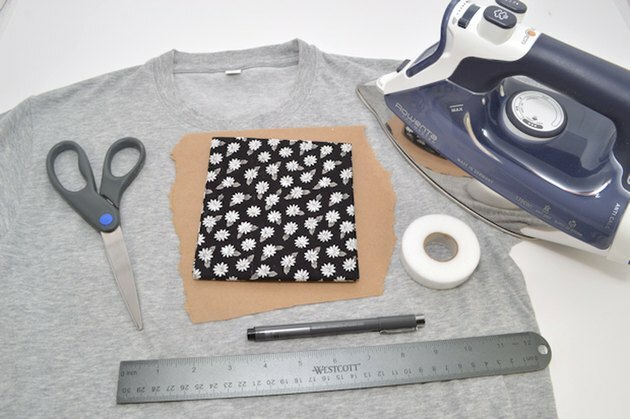 Using a material called fusible webbing tape, you can turn a plain jane T-shirt into an edgy garment. 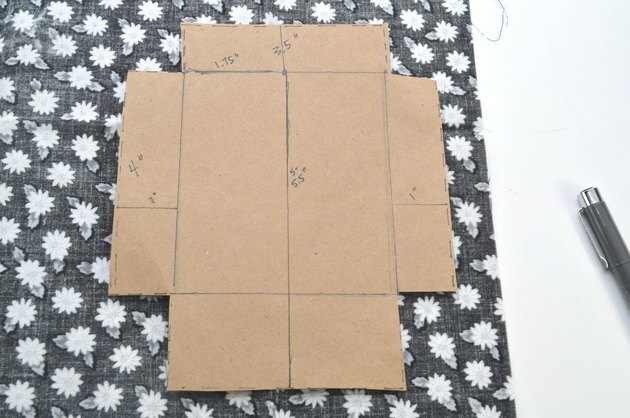 To make the pattern, draw a rectangle measuring 3.5 inches x 4 inches. Half way through the topmost line (1.75 inches), extend a long line measuring 5-5.5 inches (depending how deep you want your pocket to run). Along the remaining three sides, extend a line one inch. Draw dotted lines as shown above. These will be the "flaps" that fold in to give each side a clean edge. 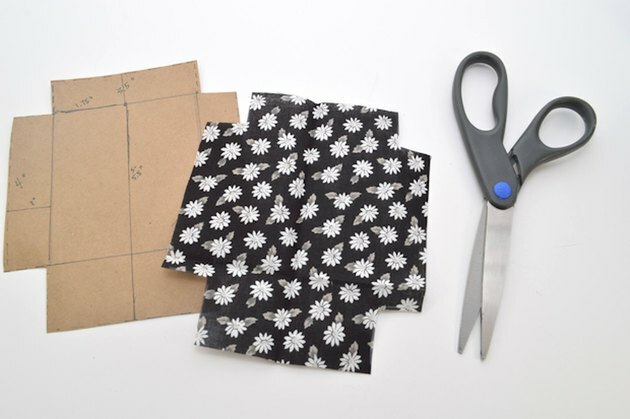 Then cut out the pattern. 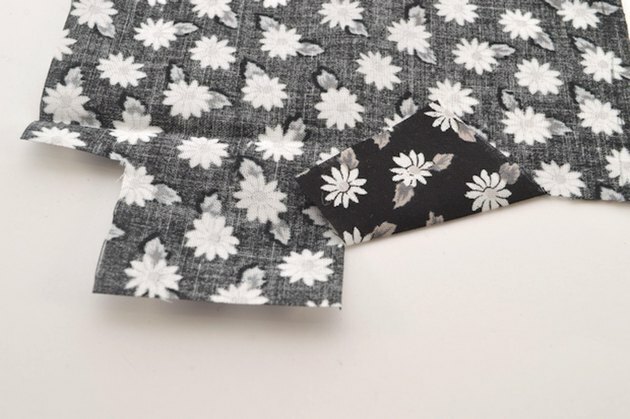 Trace the pattern onto the reverse side of the fabric. 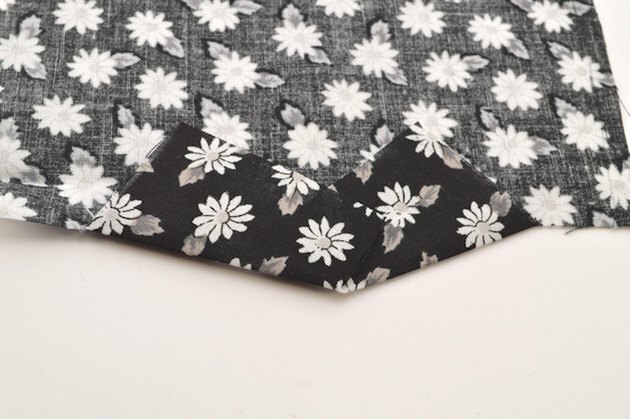 If your fabric is on the darker side, you can use a chalk pencil instead of a pen. Along the bottom/biggest portion, cut a one inch slit in the center. 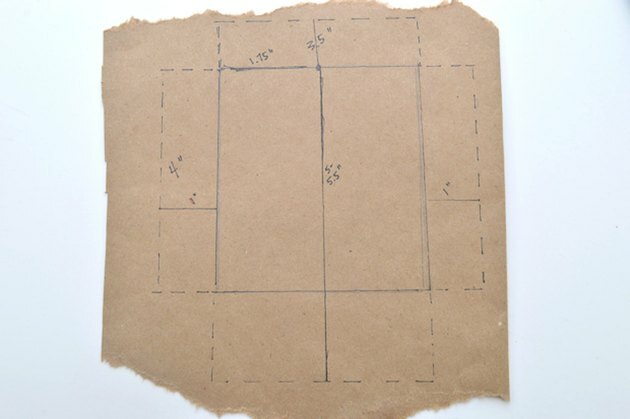 Use the ruler to ensure that the slit is in the middle (1.75 inches). 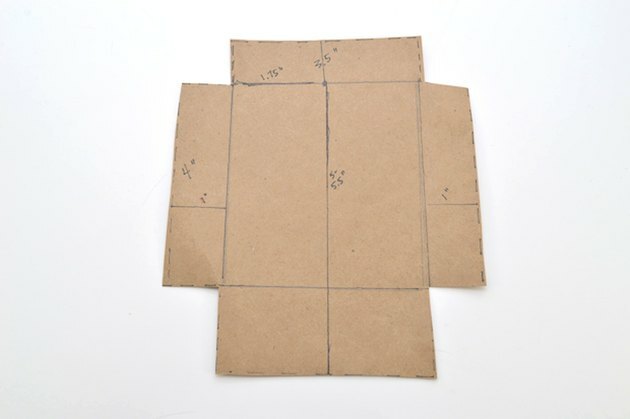 On one side of the slit, diagonally fold up the fabric as shown above. The fold should create clean corners. Iron in place. 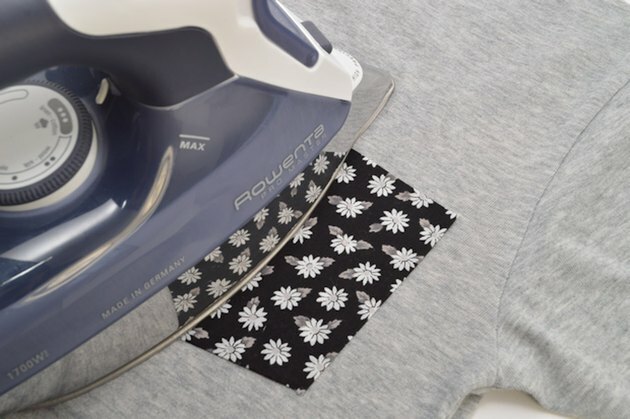 Repeat with the fabric on the other side of the slit and apply an iron. 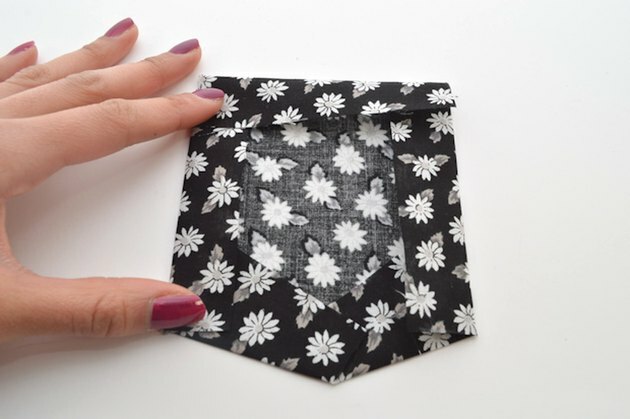 Fold the remaining sides and iron in place. Cut a strip of fusible webbing tape to fit comfortably under the top fold, without any exposure on either end. If your iron comes in direct contact with any fusible webbing tape, it will create a tricky mess! Firmly apply an iron. 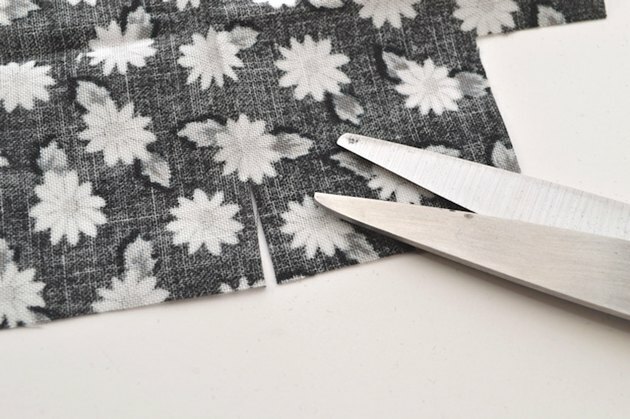 The tape will melt and fuse the two sides of fabric together when cool. Repeat with the remaining folds. 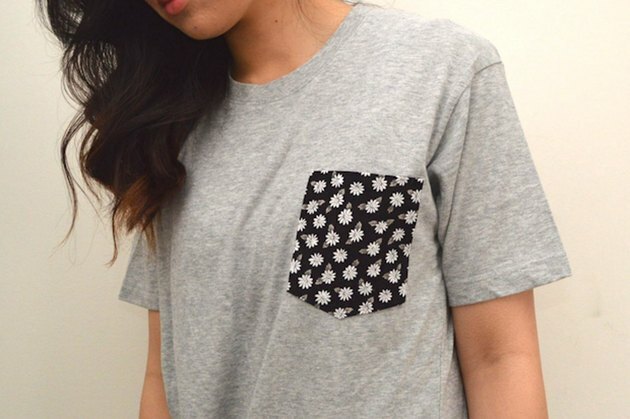 Place the pocket on the T-shirt. Cut strips of fusible webbing tape for the bottom edge, plus the left and right sides. 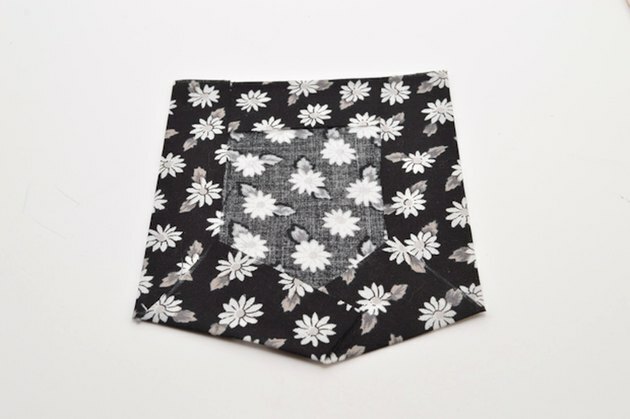 Working on one side at a time, place the fusible webbing tape underneath the pocket and apply an iron. 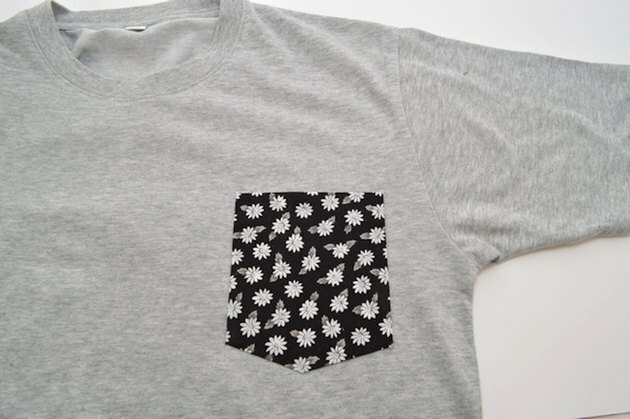 After the fabric has cooled, your T-shirt is ready to be worn. Try mixing and matching your favorite colors and prints for endless possibilities!